Gall aphid colony in pecan leaf. I wrote this post up back in the spring, then accidentally deleted it and was too disheartened to come back to it for months. But these little guys are too cool to abandon forever. 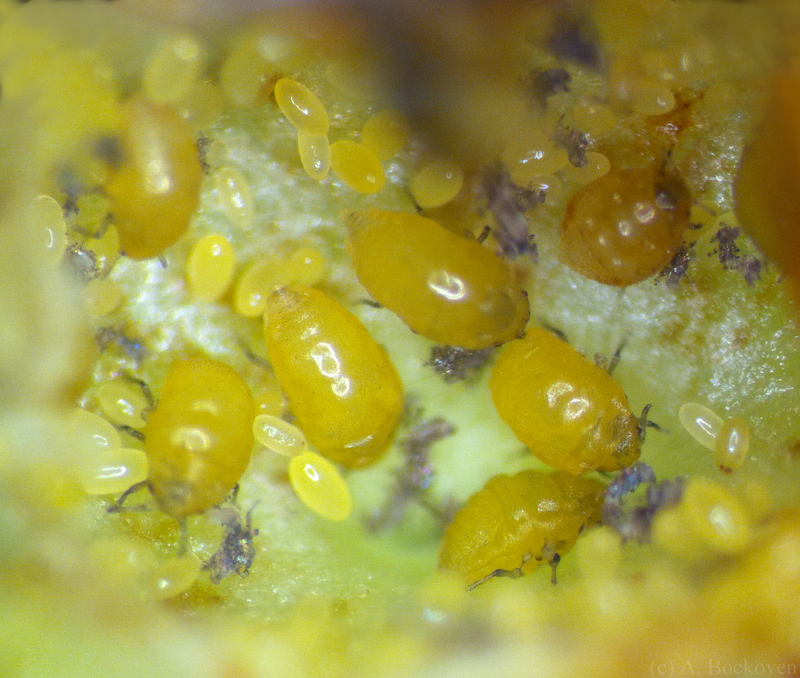 The little yellow potato monsters in the photo above are pecan gall phylloxera, a relative of aphids and thrips. They are exceedingly tiny. 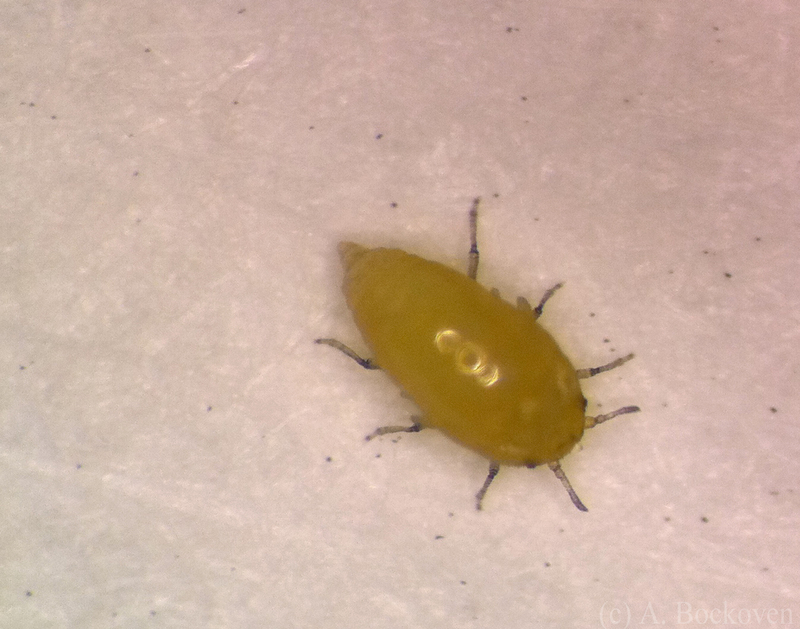 So tiny that although I observed and curiously popped open the large pecan leaf galls many times while rearing my lunas, it wasn’t until I idly took a look under a scope one day that I even realized the little insects were there. Open and closed pecan leaf galls with gall phylloxera colony. Pecan phylloxera have fascinating, complex life cycles. These vary quite a bit between species, but I’ll share a general example, that of Phylloxera devastatrix, probably the most damaging pecan phylloxera. 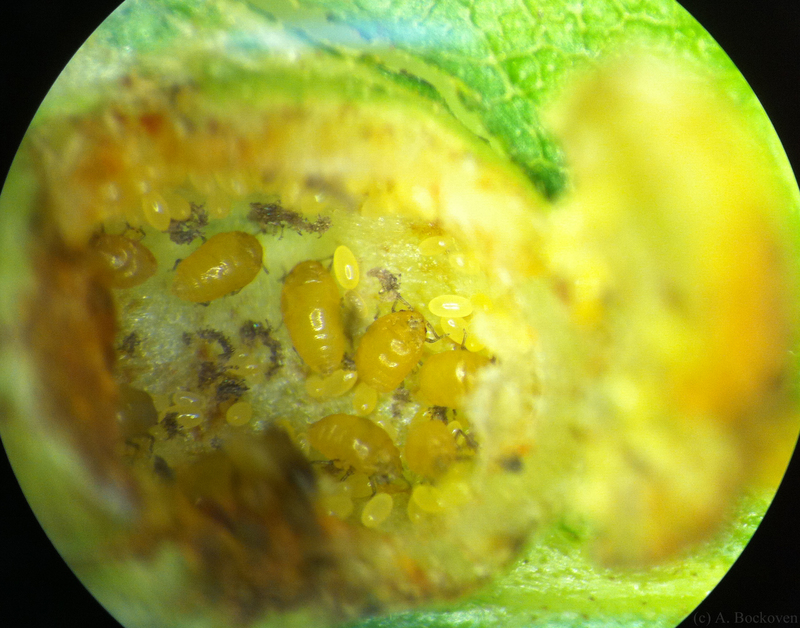 Pecan phylloxera galls are started by “stem mothers,” who inject a toxin into the plant while feeding on young tissue. This toxin stimulates the plant to grow a gall, gradually encasing the feeding insect over the course of several days. Each stem mother then lays eggs in her gall, which develop and feed in relative safety. In late summer, at the end of the gall’s life cycle, the galls split open, allowing winged asexual phylloxera to disperse. They’re not done yet. 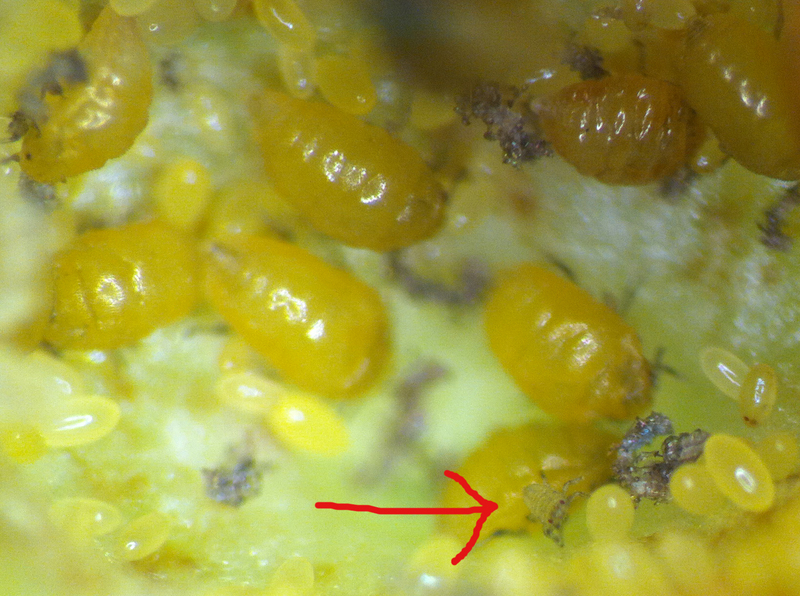 Close up of pecan gall phylloxera and eggs. Not content with such a simplistic, multigenerational life cycle of barely three tiers, the asexual phylloxera find a good spot and lay some eggs. Two different sizes, just to be more special. The large eggs hatch into sexual females, and the small eggs into sexual males. The phylloxera mate, and the mamas-to-be seek out a nice sheltered place…where they die. This gives the eggs a nice, cozy refuge to ride out the winter–tucked up safe in mom’s dead body. In the spring, the eggs hatch out of their mother and become stem mothers, which disperse to find young plant tissue and start new galls, beginning the beautiful cycle of life once again. Gall phylloxera and eggs in an opened pecan leaf gall. Close up of pecan leaf gall phylloxera. Underside and mouthparts of pecan gall phylloxera. Pecan gall phylloxera nymphs are exceedingly tiny. 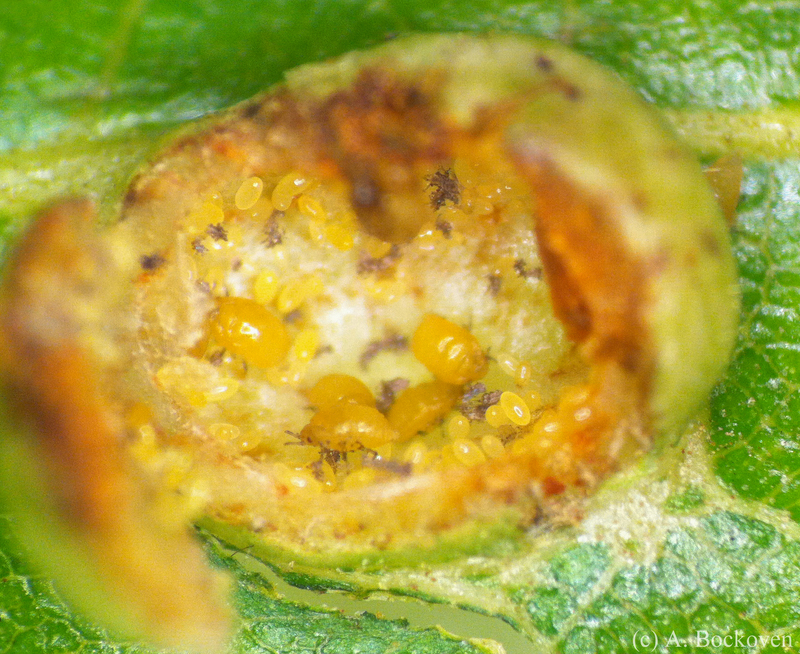 A juvenile insect inside an opened gall. Galls are highly variable plant structures which can be formed by a number of causes. They usually appear as an abnormal swelling in a leaf or stem. 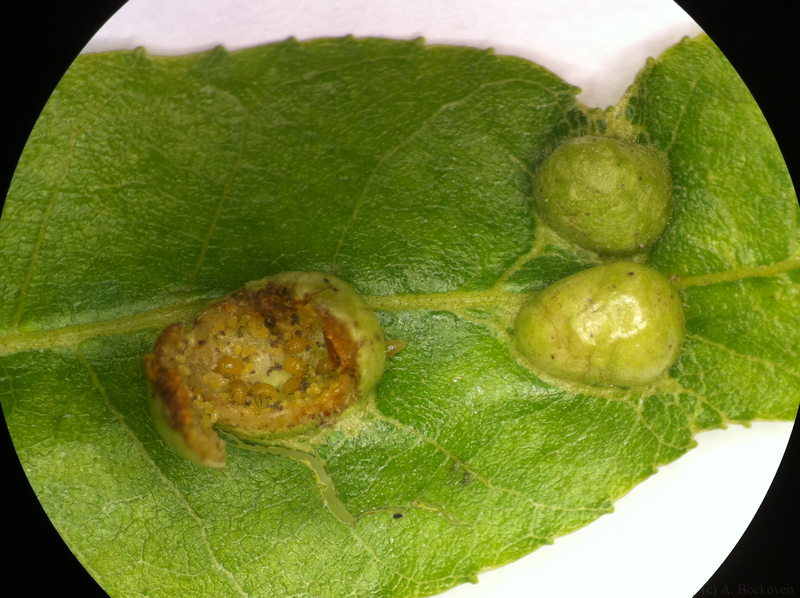 Insect galls are caused when an insect uses chemicals to seize control of a section of plant tissue, stimulating it to form a favorable habitat for a juvenile insect. The gall provides both shelter from predators, as well as food and moisture. 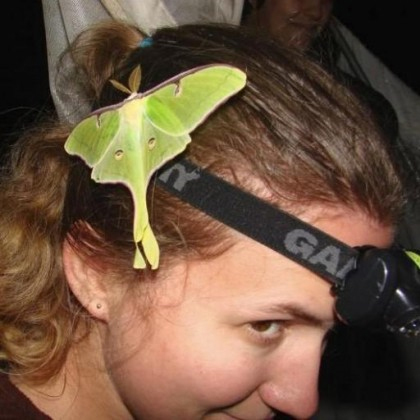 A number of insects have independently developed gall-forming abilities. These include gall wasps, gall flies, gall midges (a small fly), aphids, and more. 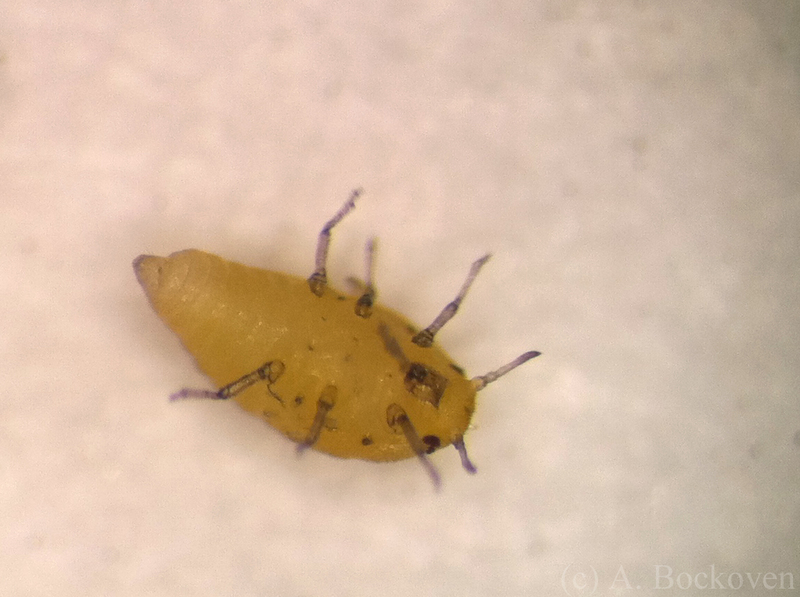 In many cases the adult insect injects an egg into the plant, where it then develops into a larvae and pupae, and finally emerges as an adult. Galls are not entirely safe from predation–many insects have developed strategies for getting at the developing young. 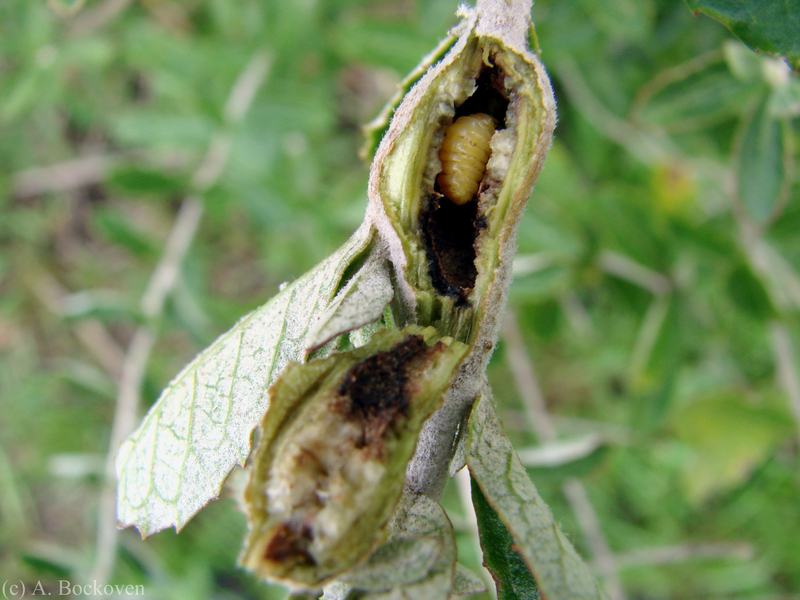 For example, a number of parasitoid wasps inject their own eggs into the developing gall inhabitant, which is consumed as food by the new parasitoid.